Who am I now? If I had to define myself now I would really struggle. Of course I am a daughter, a sister, a friend, a cousin and I am so lucky and happy to be those things. But I don’t know what else I am. The things that defined me as a person are gone. My job for example. I miss my job. It was the one thing I felt I was good at. I thought I would have a connection with the people I worked with for the rest of my life. I know that I could not have stayed working there forever. I was in the process of looking for a ‘proper’ job after graduation, but I would have stayed in their lives forever. This illness made it come to an end in a much too abrupt way and before I was ready. I miss them. It was the hardest part of being ill, giving up that job. I think it broke my heart. On my last day I sobbed embarrassingly as if it was the end of the world. It was. It was the end of my world as I knew it. I had a summer job too. I loved it just as much. I had worked there in some capacity since the age of 13. I loved the summers. The people, the socialising, the responsibility, the fun, the laughs. I do not hear from any of my former colleagues now. I thought they were my friends. I admit I didn’t make the effort either. I was either too poorly to get in touch or it hurt too much to do so. I’m finding it hard to reflect on my old life. I can’t remember what I was like. I was hardworking, always on the go. I was active. I loved to go out dancing. I was a student, then a graduate. I was independent. All I know is that I feel I have changed almost completely, on the inside at least. I used to be defined by the things that I did. Now I’m not able to do much, in comparison. 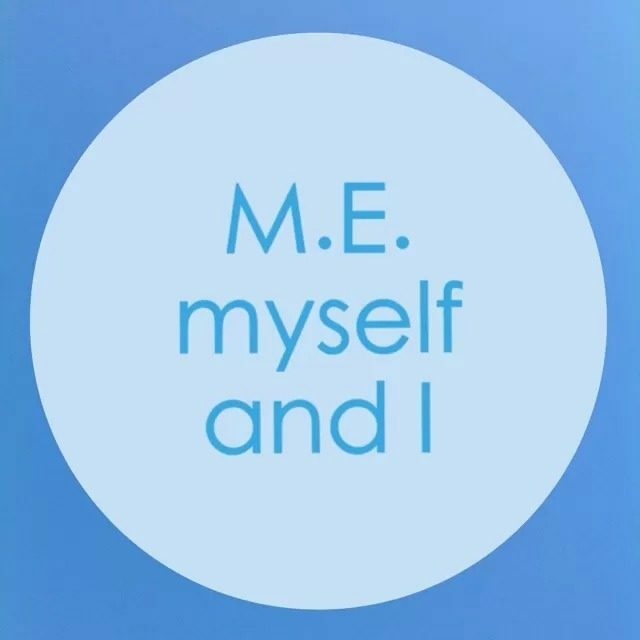 Am I now merely an M.E. sufferer? Just one of the very many? Somebody people think of as a benefit scrounger and work shirker? Somebody that the government tries to ignore and sweep under the carpet? An ill person whose illness is still so misunderstood and debated? Whether I like to admit it or not, my illness defines me now because it is all-consuming. When you no longer have good health, your whole life is affected. Being poorly has altered my character and personality. It has changed who my friends are and who I am. Now when I let/make myself think about it, I feel redundant. Useless. I have nothing to offer and nothing to give. I am too poorly to offer my friends a shoulder to cry on even. I have had to become selfish and it is a trait both foreign and disgusting to me. I hate that people’s days and lives have to centre around me. Anna needs to be fed. Anna’s clothes need to be washed. Anna’s bed needs to be changed. Anna isn’t up to holding a conversation today. My mum has to fill in my medical forms and benefit forms because I am too poorly to do it. I can do next to nothing for myself, although I am now starting to manage a few things. I rely completely on others. I feel like an incredibly boring person now. My brain is too slow to cope with the everyday laughs and banter that I was a part of before. I have become ‘simple’. I have lost my purpose. I am able to see the positives too. I have not lost my sense of humour. I am still a tough cookie, perhaps even more so than before. I am proud of my ability to pick myself back up after every setback or relapse and keep going everyday. It isn’t even something I have to consciously think about. I just do it. Now I am carefree for the most part. I have mellowed. I hope, if I recover, I am able to remain carefree. It is a trait I like. I worried too much before about things that were not worth even thinking about. I still like things to be fair and just and have come to believe that regrets are a complete waste of time and energy. I have developed a thicker skin which is needed when dealing with the misunderstanding and stigma of this illness. Today is a thoughtful day and my life feels very much up in the air. This is not a sad post. I am merely being matter of fact. Previous Anyone got a spare spoon?